What are the best money making ideas in Nigeria? Read and see how to make money in a quick and easy way. 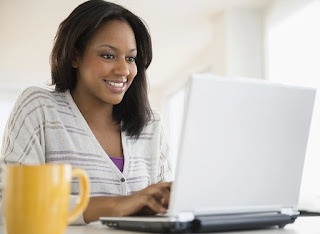 Easiest way of making money in Nigeria First of all, you need to know that earning money requires some knowledge. It is better to get it from the experts who have already applied all the attempts to make money online. Here are the best strategies of making money from home, so you need to be very attentive. As you may know, Nigeria is considered to be the 8th in the list of the countries which use global network - Internet. This way, it becomes clear that you can earn money with using Internet resources. 50 million people from 180 million people in Nigeria are using Google on a daily basis. You need to bear in mind that it is possible to make profit only selling something or offering your services. This can be done between people who have an access to the Internet. In many cases you even don't need to invest money. 5] Premium services (Freelance services). *Low Startup capital : This means that you don't need much money to start. There is no need to spend money on renting a shop or to pay for public utilities. *Always online : If you have a web-site, its users can make use of the resources 24 hours 7 days a week. *Flexible hours : This implies your ability to work wherever you want, for example, you can work at home, in cafe, and even in a park. *Global market assessment : Working online gives you an opportunity to choose goods not only from local markets, but to evaluate markets of any countries around the world. 1. Selling physical products : Such type of online business provides you with an opportunity to sell products to other people via your own Internet site. For example, you can sell handmade products designed and created by yourself or resell goods. The procedure is rather simple - you show the goods online, people look at them, choose and make payments, after this you send the goods to your customers. 2. Selling digital products : Such business implies selling software, videos, eBooks, audios. making money from home Choosing this kind of business, you don't need to get involved into shipping of goods. You just need to provide your customer with a link to download the software. 3. Selling online services : It is very easy, you just need to go to a special web-site which provides you with an opportunity to offer various services including 3D design, video animation, programming, writing articles and essays to potential buyers. 4. Selling other people's goods and services : Another name for such type of business is affiliate marketing. You just need to promote other people products who don't want to get involved in such type of activities or just don't have time for this . For this, you can join Amazon Associates and choose any product from Amazon which you would like to offer to other people. Most important is that you don't need to produce your own goods. So, now you are aware of the best ways of earning money online without leaving your home. Hope that all the given tips will be useful and you will start making money online very soon. Don't waste your time - start today!